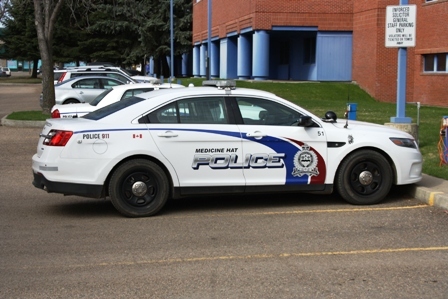 Medicine Hat Police and EMS were called to the scene of a car pedestrian accident yesterday morning. Just after 10:30 am, an 85 year old male pedestrian was struck by a truck driven by a 28 year old male. Police say the pedestrian was crossing 4 Ave SE from the alley area of 3 St SE when he was struck by the vehicle. EMS transported the male pedestrian to the Medicine Hat Regional Hospital with undetermined injuries. Police continue to investigate.